I utterly and completely adore being a New York dance photographer. I love working with ballerinas, dancers, Broadway performers, and performance artists of all kinds. It’s a joy to create portraits for them that embody their grace, skill, and strength. As a New York dance photographer, the first thing I always consider when creating a portrait is the light. Sometimes I take dance photographs using natural light. Sometimes I am outdoors, and can use the light in the existing area. Sometimes I am outdoors, and I supplement with artificial light. Many times I am indoors, working with studio strobes and monolights. This particular portrait was created with just one Profoto D1 light and one Elinchrom octabox. There was a v-flat to the episode that helped bounce a little light back onto the dancer. I prefer to keep my lighting setup simple. This lets me illuminate the performer in a really easy way, not overwhelming them but enhancing them. Every time I create a portrait as a New York dance photographer, I also want to make something that I’ve never made before. I try to tailor each portrait session to the performer in front of my camera. This image is of Hamilton an American Musical original Broadway ensemble member Ariana DeBose. Ariana is a powerhouse, and one of the best dancers I’ve ever photographed. I first heard of Ariana while watching season six of So You Think You Can Dance. I was entranced by her ease of movement and command of the stage. I then saw her in Bring It On The Musical, also choreographed by Hamilton choreographer Andy Blankenbuehler. She’s appeared in Motown the Musical as Mary Wilson and in the Tony winning revival of Pippin. She’s performed with Neil Patrick Harris, Christina Hendricks, Stephen Colbert, and Patti LuPone. She is a luminous performer, bringing a phenomenal strength and grace to every role she embodies. As a New York dance photographer, there is no better person to have in front of your camera than Ariana DeBose! As a former dancer, being a New York dance photographer has a special place in my heart. 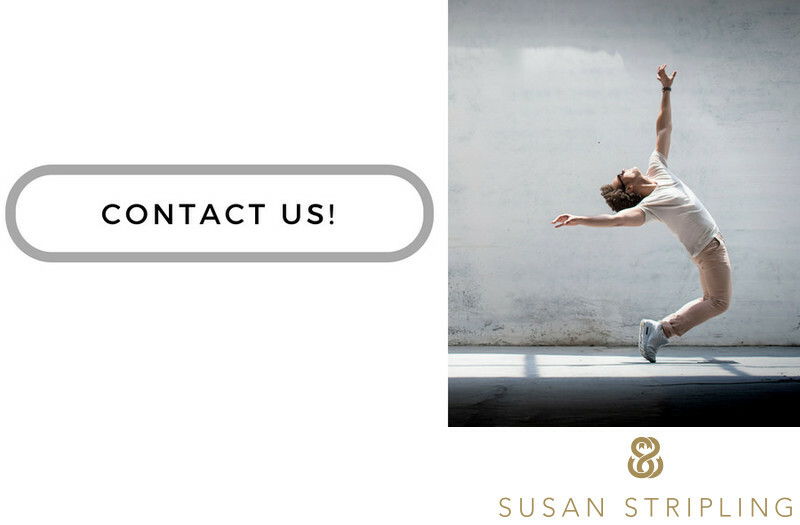 Therefore, I am even more passionate than many about creating a new portrait for each dancer that comes through my studio in Brooklyn. Ariana had a fierce presence as "the bullet" in Hamilton an American Musical, so I wanted to showcase her strength and a soft side to her fierce onstage persona. I set the studio very simply. I didn’t choose a background, opting to shoot against the sloppily painted grey back wall of my studio room. I laid down a simple wooden floor, which gave us a great foundation for the shoot. I didn’t want to clutter the scene with props or distractions, allowing Ariana to stand out against the simplicity of the scene. From there, I wrapped Ariana in a swath of simple fabric from Mood in Manhattan. How did I accomplish the look of her falling gently from the sky? I’ll never tell! Levitation photography is something that I love experimenting with, and this is one of my favorite examples. There are many tutorials online for levitation photography and levitation dance photography, which is precisely how I learned this photographic technique. As a New York dance photographer, levitation photography is a fun skill to have. It translates really well when working with dancers, as their studied grace is perfect for this style of photography. Ariana was on medical leave from Hamilton an American Musical when we shot this session. On her first night back as "the bullet", Ariana posted this image on her Instagram with the caption "floating and falling back in to Hamilton." I love the description that she used for the image. She is both floating and falling in this scene, which is precisely the look that I was going for. What is a dance session like in my studio? We work on several different types of shots. I take a few simple headshots for you, then move on to full and half-body dance shots. 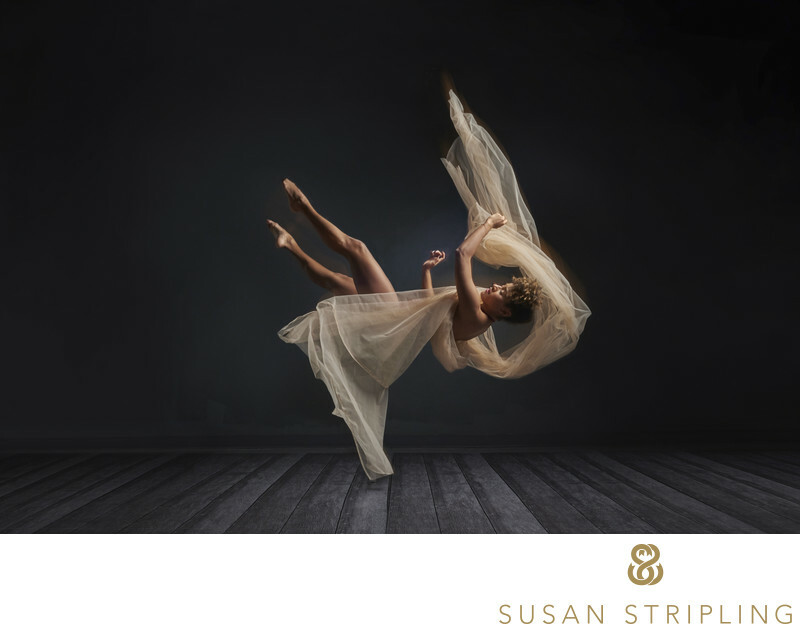 Whether you’re a new dancer, an accomplished Broadway performer, a member of a Manhattan or Brooklyn dance company, or new to town, we will create a beautiful variety of images for your portfolio. Why do I love being a New York dance photographer? I love the extraordinary movement of dancers. I love pausing their movement for a brief second, taking their fluid movement and turning it into a single piece of art, frozen in time. These shoots are completely improvised. I will not choreograph you, push you into a mold in which you do not fit, or encourage you to dance in any way other than the ways you’re comfortable. I want to document you as you move, exhibiting the joy that you feel as a performer. I hope that if you are looking for a New York dance photographer that you’ll contact me. I’d love to collaborate with you! 1/13; f/14.0; ISO 1600; 35.0 mm.